SHOCKING - Lab Test Reveals 528mg Sterols! Our secret laboratory analysis came back and showed a dose of UniScience Group Prosterin with Pomegranate contains 528mg of sterols. Good job! This score is good enough to make it into the Top 20 scores. This product is a tremendous value. Unfortunately when we grade our supplements we take a lot more into consideration. 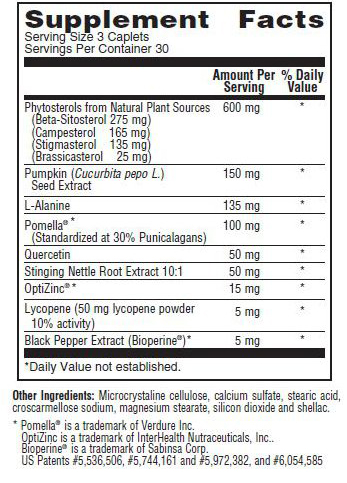 Though this supplement is rich in sterols, it would be a more complete prostate formula if it contained other beneficial ingredients.